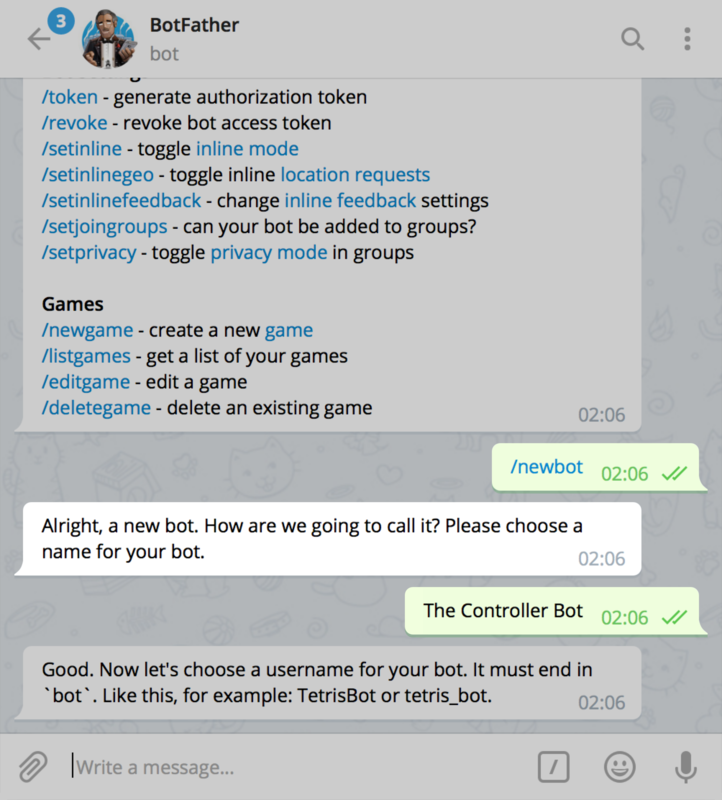 How do I create my own bot? To create your own bot, go to @BotFather and send /newbot command, then you will be pushed to choose a name for your bot, enter one you want. If you have enabled admin signatures in the channel, you can enter your Telegram account name, so channel members will see posts as if they were posted by yourself. After that, choose a username (must end in bot). Enter it without @. Finally, you get the token that you can forward to Controller Bot.